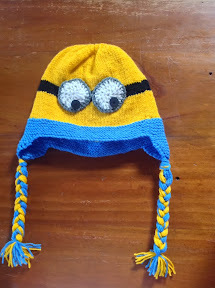 By now my regular readers are well aware of the “Despicable Me” patterns I have designed, and Ravelry users will recognise them too. But I also know that it’s kinda difficult to find the one you want, so I’m going to link all the current (and future) patterns on this post. Each hat or toy uses slightly different techniques. 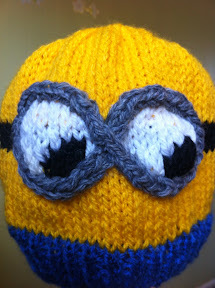 By checking each pattern first, you can mix and match elements to create your own unique knitted hat or toy. You can now buy these patterns as a clean, downloadable PDF for printing here. 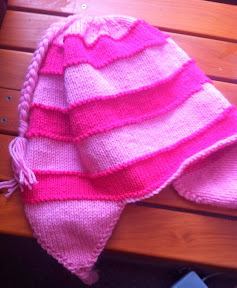 These are simple knits, with only a few challenges in the making. They are all knitted flat, but people have very successfully converted these for knitting in the round. 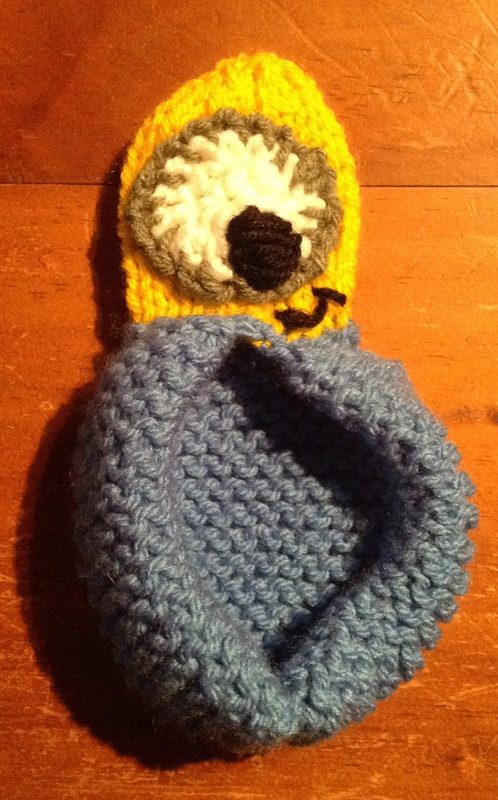 These are all really easy to knit. 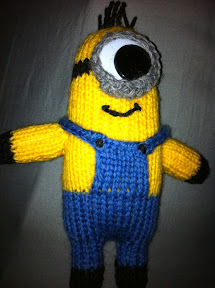 Some Ravelry users have made this as beginners. Because of the travelling yarn or intarsia in the tops, the inside tidiness isn’t so important, so they are a pretty neat way of practising new techniques with limited risk. 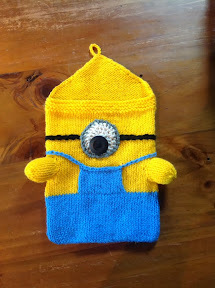 Reblogged this on Living with the Knit Guru. 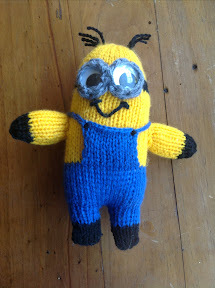 Hi, I love the Minion Ideas! 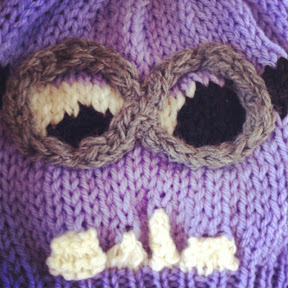 I’m an enthusiastic, but not great knitter, and I would like to attempt a Horse Minion Ear bonnet. Any suggestions on the best way to do this? Hmmmmmmm…. 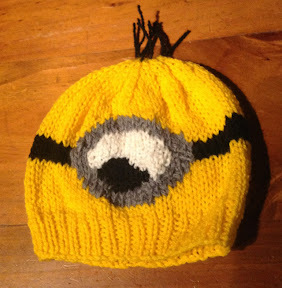 Thinking cap is going on…. 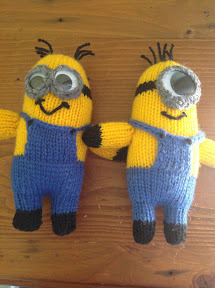 Is there a knitting pattern for 2 needle minion mittens? No… Not mittens anyway. 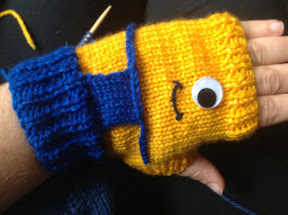 The finger-less mittens are 2 needles though. 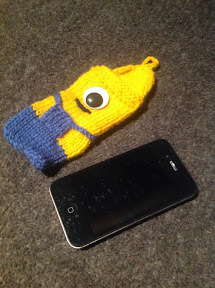 I found a great mitten pattern with sizes from baby to adult. I’ve made several for family members, and they have all loved them! Its in a knitting pamphlet printed by Leisure Arts . It’s called “Many Mittens”, Leaflet #2473. If you look on Google, EBay, Etsy, you could probably find a copy. It was printed in 1993.. Patterns for a multitude of different sizes and patterns. Very easy 2 needle or 1 circular needle pattern. I can’t use dpn at all!! Do you have a pattern for a Gru scarf ?